No matter how diligent we are with maintaining our machinery, there's always a chance for component failures. 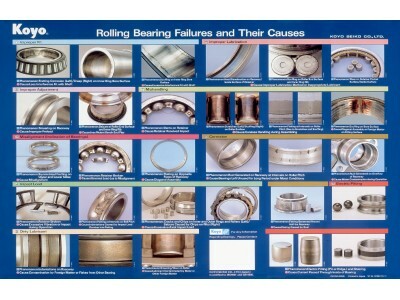 The attached chart, courtesy of Koyo Bearings walks us through common bearing failures and their causes. By learning more about these potential failures and causes, you can understand how to avoid them and increase the life of your bearing and reduce downtime in your business.